An IoT Triad Demo, Part I – Device (nRF8001 + Arduino) #Arduino #IoT « Adafruit Industries – Makers, hackers, artists, designers and engineers! Thanks to Mahesh for sending in his project! Check out more on his blog here. Internet Of Things (IoT) implementations usually consist of three parts – the device itself, software that interacts with the device (which usually runs on a mobile platform), and a cloud part that can serve as an intermediary, which may host web apps for controlling the device or dashboards for device data. 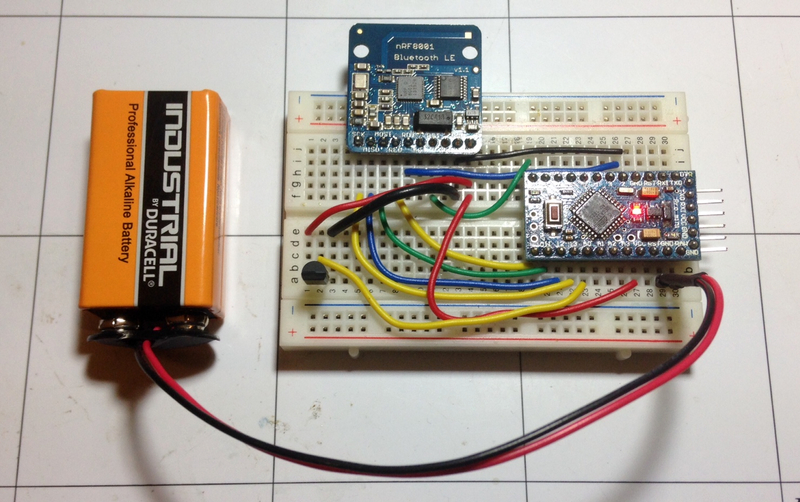 In this three-part article, I demonstrate an “IoT triad” by developing a simple Bluetooth Low Energy (BLE) device, a cross platform mobile application, and data visualization on the cloud. In this first installment of the project, I will focus on the device part. 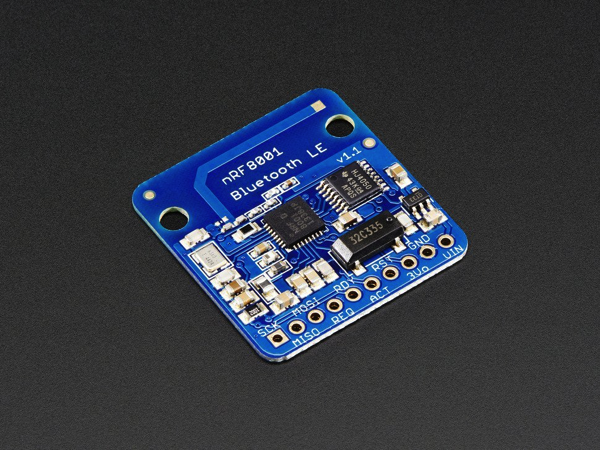 Bluefruit LE – Bluetooth Low Energy (BLE 4.0) – nRF8001 Breakout – v1.0: Our Adafruit Bluefruit LE (Bluetooth Smart, Bluetooth Low Energy, Bluetooth 4.0) nRF8001 Breakout allows you to establish an easy to use wireless link between your Arduino and any compatible iOS or Android (4.3+) device. It works by simulating a UART device beneath the surface, sending ASCII data back and forth between the devices, letting you decide what data to send and what to do with it on either end of the connection. Read more.